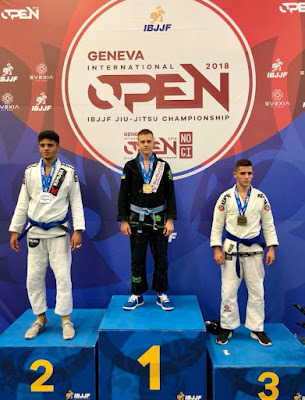 Jiu-jitsu.News: Serhii Krasovskyi conquered Geneva! The “Geneva International Open IBJJF Jiu-Jitsu Championship” was held in Switzerland recently. A young athlete from the SC “Borets” / ZR Team Serhii Krasovskyi successfully showed himself on the international sports arena. Serhii Krasovskyi defeated a highly technical and trained Brazilian sportsman at the championship. Despite the fact that the referee was on the opponent’s side, Serhii scratched out a victory right before the end of the fight. The athlete received deserved gold both in his weight and in the absolute category. Adam Wardzinski comes to Kiev! «Tigers» took the first team place in Lvov!